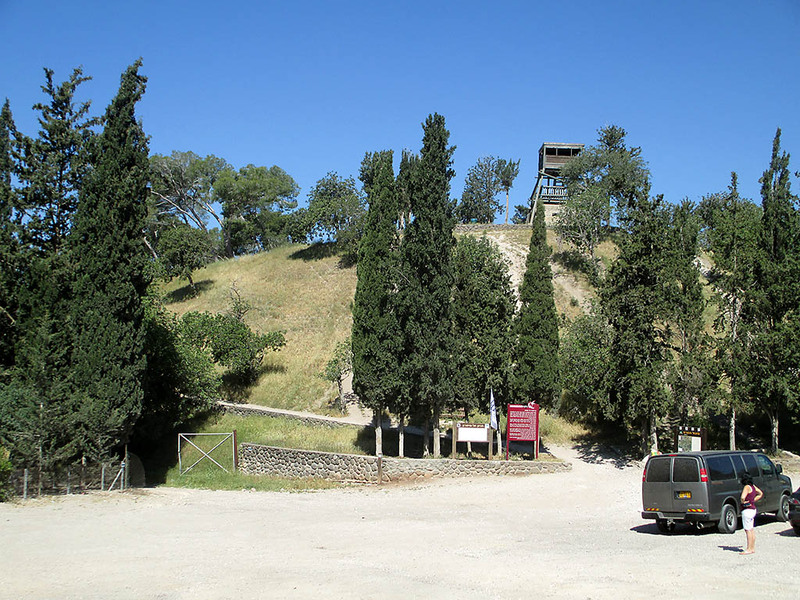 Tel Shimron is located in the ancient territory of the Israelite tribe of Zebulun. There are only two references to the site in the Bible, both in the book of Joshua. When Jabin, king of Hazor, heard of the successes of Joshua in the south of Canaan he sent word to the kings of the region to form an alliance. The king of Shimron was included in the group (Joshua 11:1). The other reference lists Shimron as one of the cities of Zebulun (Joshua 19:15). Location. Shimron is located about five miles due east of Nazareth at the intersection of highway 7626 with the main east-west highway 75. This is the NW side of the Jezreel Valley. The tel is 2.4 miles SE of Beit Lehem HaGelilit (Bethlehem of Galilee) which is also within the territory of Zebulun. See here and here. Tel Shimron. Photo: Dr. Avishai Teicher, Pikiwiki Israel [CC BY 2.5 (http://creativecommons.org/licenses/by/2.5)%5D, via Wikimedia Commons. Word comes, through a combination of sources, that the Museum of the Bible (scheduled to open in Washington, D.C., in the fall of 2017), the Israel Antiquities Authority, Wheaton College, and perhaps the Albright Institute, will be working together on this project. See the Museum of the Bible announcement here. Wheaton College will still be working at Ashkelon in 2016, but will conduct an archaeological survey and a Ground Penetrating Radar (GRP) survey of Tel Shimron in 2016, with plans to begin an excavation in 2017. The program leaders are Dr. Daniel Master and Dr. Adam Miglio. More information here. A brief YouTube video (here) featuring Cary Summers, president of the Bible Museum, with Matthew J. Adams, Dorot Director of the W. F. Albright Institute, talking about the significance of Tel Shimron at the site. I have been close, but never to Tel Shimron. The Pictorial Library of Bible Lands has one photo of the mound in the disc on Galilee and the North. BibleWalks.com has a nice collection of photos as well as maps and historical information here.